I’m pretty sure I rolled my eyes the first time I saw a Twitter hashtag show up on my TV. That’ll never catch on, I thought. Fast forward about seven years, and people are actually ending sentences with phrases like “hashtag-I-told-you-so” and “hashtag-sorry-not-sorry.” Despite my initial resentment for them, hashtags have become part of social conversation. They are now essential on platforms like Twitter and Instagram. Hashtags are an essential part of Instagram marketing. Since Instagram is one of the most popular and high-engaging social sites, that means that understanding Instagram hashtags and how to use them is crucial. 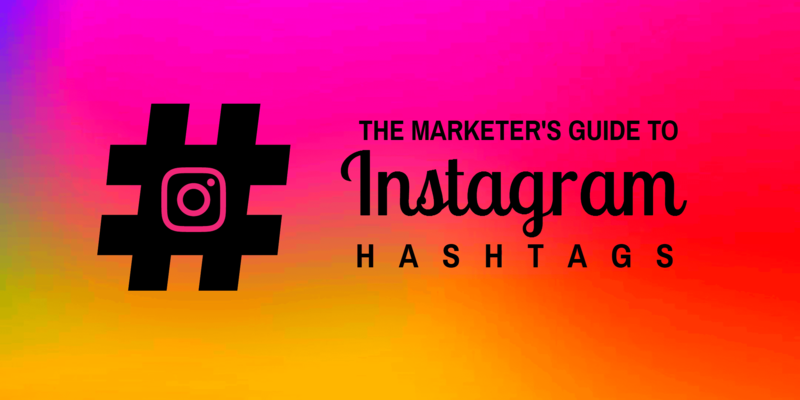 In this complete marketer’s guide to Instagram hashtags, we’re going to look at why they matter, how to create a hashtag campaign, tools to help with hashtag research, best practices, and actual examples of small businesses using Instagram hashtags well. This guide is perfect for social media experts, businesses who haven’t even set up their Instagram profile yet, and everyone in between. Why Do Hashtags Matter on Instagram? Hashtags on Instagram, like Twitter, automatically become links that users can click on. These links will take them to other public posts containing the same hashtag. Hashtags can contribute to—or continue—a conversation. They can also start a conversation between you and your users, which is exceedingly valuable. Instagram users are exceptionally receptive to interacting with small businesses, making hashtags so important. 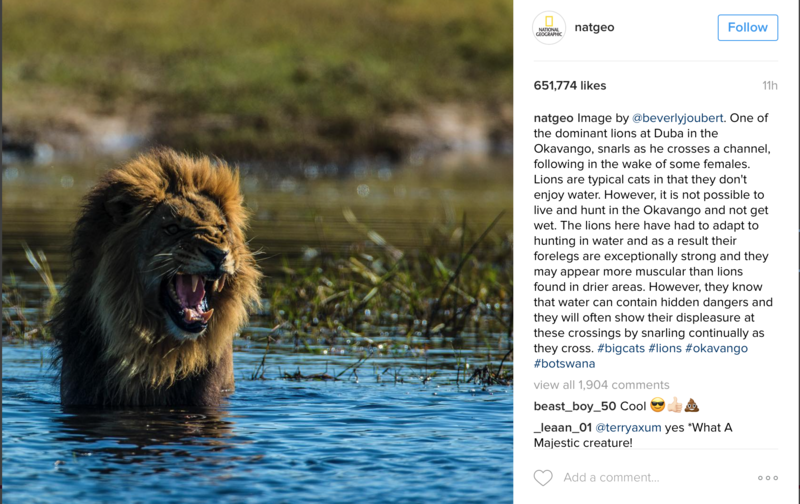 Diverse hashtags including #bigcats and #botswana help expand reach; #bigcats, specifically, will help reach a broader audience. In many cases, users will click on a hashtag that interests them; in others, they’ll actively search out posts containing a certain hashtag. As long as your posts are public, choosing relevant hashtags that fit in your audience’s interests significantly expands your reach. 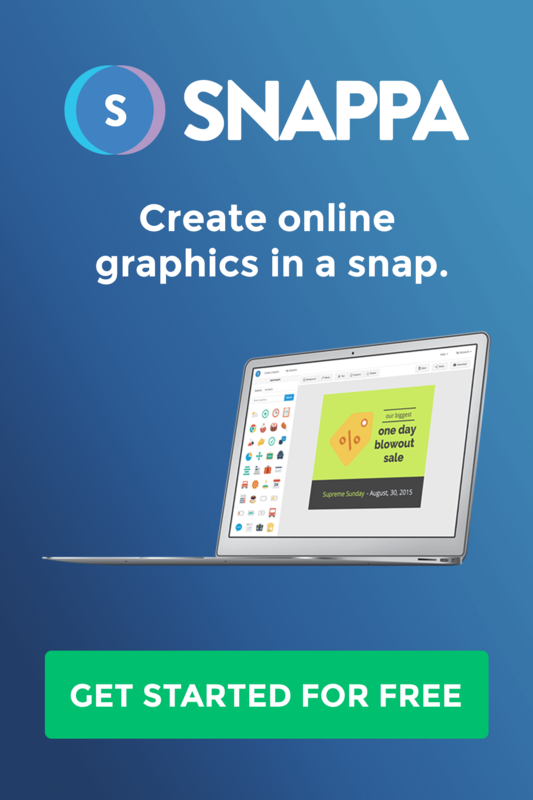 You can connect with large amounts of new users, and get more engagement on your posts. In many cases, you can use Instagram to connect with potential customers who would never have heard of you otherwise; hashtags are a big part of how that’s possible. With the exception of Instagram Ads (which cost money), hashtags are the most effective method for helping your target audience find you. This is essential towards building a solid and engaged Instagram following on the platform. All businesses can benefit from having one or two custom, branded hashtags. Most businesses will attach these specific hashtags to all posts, and encourage users to share UGC with them. These hashtags should be as evergreen as possible; great examples from small businesses include #ilove9round and #wheredoyoubarre. When creating a branded hashtag, it’s a good idea to include your business’s name. This keeps it from being hijacked, and users will always know to use it. Always research your custom hashtag heavily before finalizing it, and watch out for misspellings, errors, and double meanings. We discuss some great hashtag research tools in the next section. You can see more here. 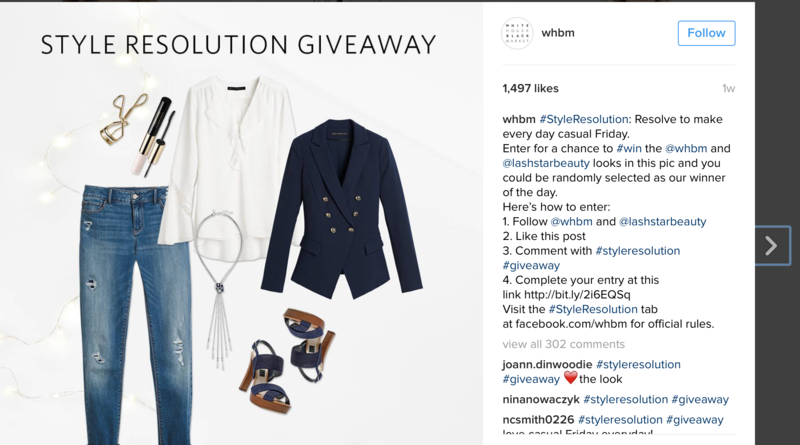 What is an Instagram Hashtag Campaign? Instead of just boosting visibility and increasing brand awareness, campaigns are used to spike engagement and generate conversation. Great examples include hashtags meant to increase UGC, or hashtags of an event or nonprofit, and branded contest hashtags. Instagram hashtag campaigns can pick up a ton of steam and bring brands major results. These campaigns are often centered around hashtags that are not a business’s singular branded hashtag (though not always). These hashtags can act as a CTA, like the #wearyellowforseth campaign. To launch a hashtag campaign, develop a strong concept for what you want the campaign to accomplish and focus on. Upload multiple posts discussing the campaign and, if relevant, why it matters and what you want it to accomplish. Always include a CTA—either through hashtag or regular text—to tell users what actions you want them to take. 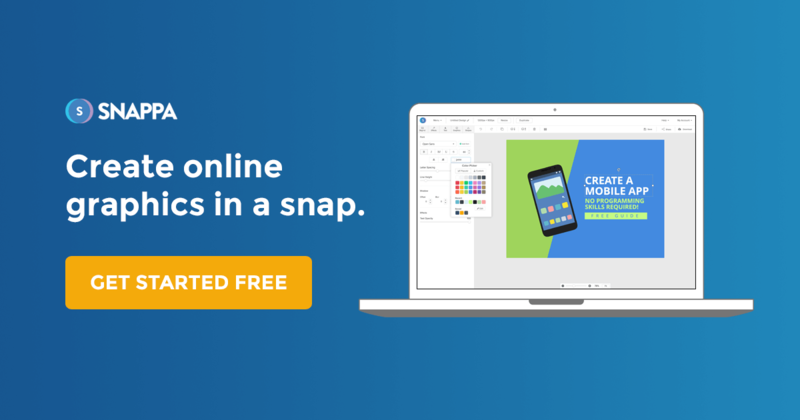 Whether you’re looking to launch an Instagram hashtag campaign or you just want to discover popular hashtags that can increase your reach quickly, there are some amazing tools that can speed up the research process significantly. Hashtags, after all, have the same importance as keywords on blog posts and websites; if you don’t choose the right ones, you won’t connect with the right audience, and choosing the right ones requires research. Different hashtag tools can help you with different aspects of research; some tools, like Hashtagify, are good for hashtag creation. 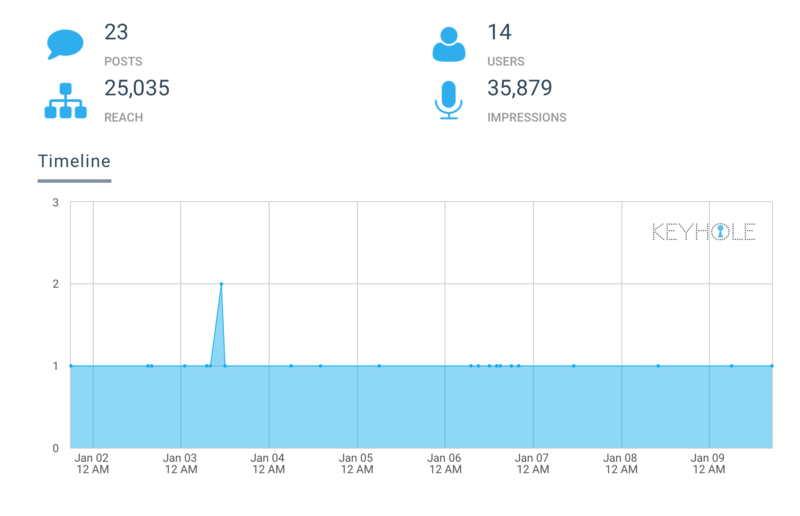 Others, like keyhole, can help you determine search volume of certain hashtags. 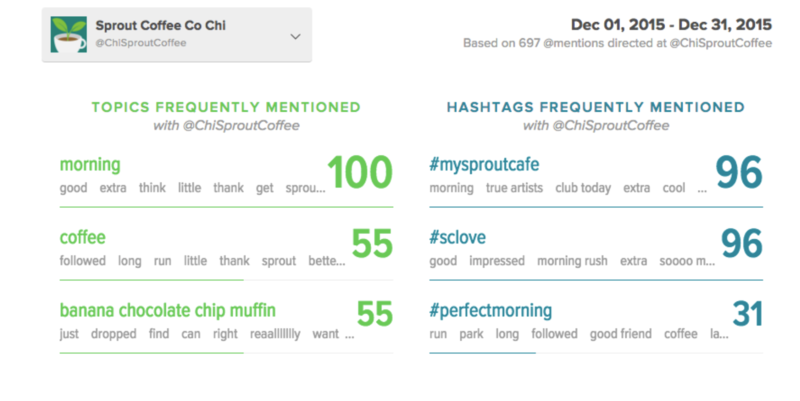 There are three hashtag research tools that I can’t recommend enough for businesses: Hashtagify, Sprout Social, and Keyhole. Most resources on this topic refer businesses to Hashtagify for hashtag research, and this post is no different. Hashtagify is one of the best resources you can use for this purpose. Hashtagify can be used to help create branded hashtags; you can enter in a term, like “travel” and see the most commonly used hashtags associated with it. 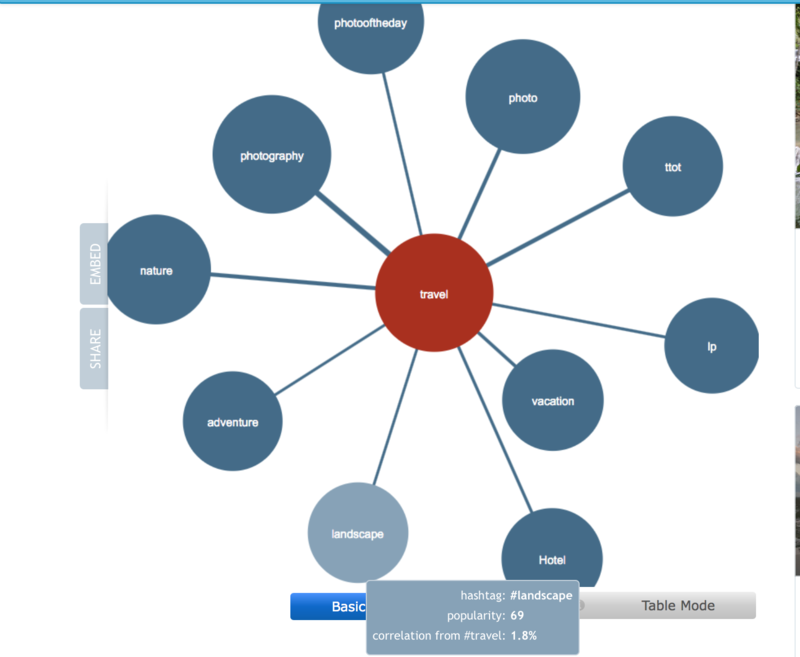 Hashtagify shows you details on each of these associated terms, including their individual popularity and correlation of use with your searched term. If you want to come up with creative, unique hashtags for your brand, this can help you determine a good combination. It can also give you good insight into other hashtags to use to increase visibility. This tool is free to use. They also now have hashtag tracking specific to Instagram. You can track specific hashtags and see information like how many tweets have used them; this can help you track the reach and engagement of your branded hashtags. This tool is for paying subscribers only. 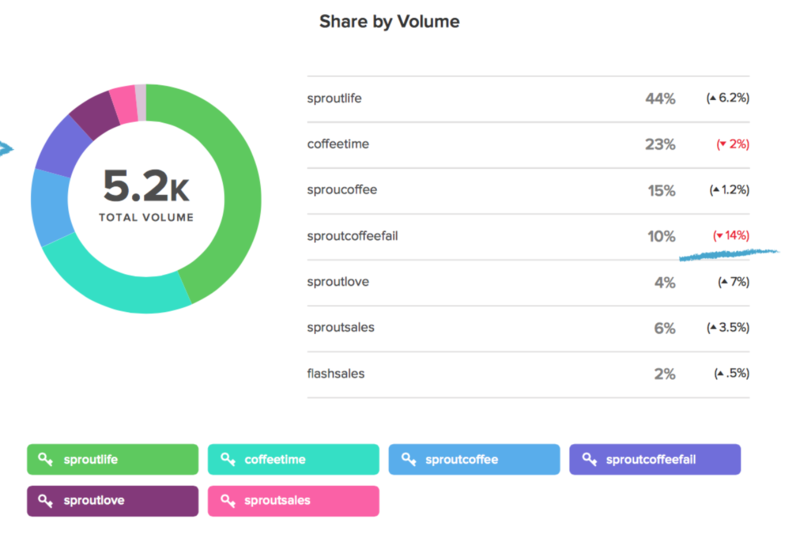 Sprout social is a valuable social media management tool in general, and their hashtag research features are incredible. Their social listening allows you to monitor how your branded hashtag is being used, and how far your hashtag campaigns are reaching. You can also see hashtags and topics frequently mentioned by you, their associations, and their performance. If you want to track your specific results with your Instagram hashtags, this is the tool to use. The number of impressions this hashtag has reached. Keyhole shows you top posts that use the hashtag, and dates when it was used most often. They’ll also show you related topics and hashtags that users are adding to these posts. This can help you determine how much attention your hashtags can get, and ideas for other hashtags to use. While there are always ups and downs in the usage of some hashtags—and trending topics always come and go before long— there are some Instagram hashtags that businesses always add to their mix for enhanced results. Apparently these are the most popular hashtags for getting new followers. Give them a try! #Love is the most used hashtag on Instagram, with more than 988 million posts containing it. Attaching popular hashtags to your posts can increase their visibility. These hashtags all have great visibility, but they can also have higher competition for engagement in their prospective feeds. You also want to keep your use of this to a minimum, with only one or two a post, so that you focus on hashtags that are most relevant to your audience. You need to sound human, and not like a spam-bot just trying to get likes. Use a lot of them. While this isn’t an option on Twitter because of the character count, and it should never be used on Facebook, Instagram posts with plenty of hashtags get more engagement. Most studies see a correlation between the number of hashtags and the amount of engagement posts receive—to a point. Always use more than one hashtag, and use at least 11 when possible. Just make sure your most important hashtag is at the front. Use local/geographic hashtags. This is especially true for local businesses, or those trying to increase event attendance. Using hashtags like #Orlando or #WinterParkFarmer’sMarket can get your content in front of a local, engaged audience. When they click on your profile, the business update can give them directions right to your store. You can also use tag your location in certain posts. This is a great advantage. Switch up the hashtags you use. One of the biggest hashtag mistakes you can make is to constantly reuse the same hashtags with no variety. While you should always use your branded hashtag, switch up the non-essential hashtags to increase your reach and connect to new users. Use your branded hashtag in every post. This breeds familiarity, and increases the change that users will engage and share UGC with it. Jump in on trending topics when possible. If you have the opportunity to create content that fits into a trending topic, you can get a massive number of impressions quickly. Always research trending topics before using their hashtags to make sure there are no controversial connotations emerging around them (this happens more often than you’d think). Use hashtags in your Instagram stories. Instagram has added the ability for users to search Instagram stories that include hashtags in them. Check which hashtags are most relevant to your story and include them to create another method for content discovery. Most how-to blog posts teaching us how to execute marketing strategies almost always show examples from major corporations. These huge companies aren’t the only ones getting great results from Instagram, however; tons of small and medium businesses are killing it, too. Let’s take a look at a few small businesses rocking their Instagram hashtag game. Hawker’s has amazing food (if you’re ever in Orlando, try it out), but their hashtags are also on point. There’s a few things they do extremely well, the first of which is featuring all their branded hashtags in their profile’s bio. This keeps these hashtags prominent, making users more likely to recognize and use them. 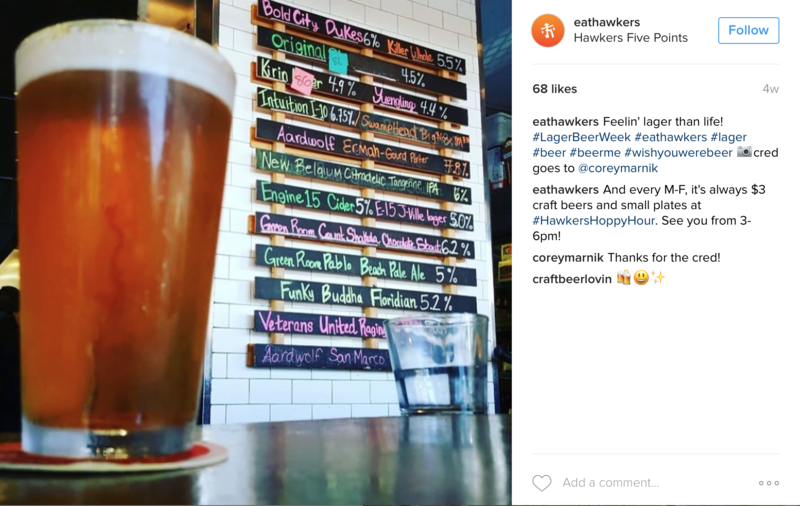 In some posts, Hawker’s uses the hashtag #SolveHunger to bring attention to their charitable actions; this is a great way to use a hashtag to build engagement and your business’s reputation. Johan is a talented landscape photographer, and uses Instagram to advertise prints of his images that he sells. I’m sure his fantastic use of hashtags helps him do this. By using a combination of phrases that are both very specific and very generic, he can expand his reach to a general audience for more engagement while finding interested customers to purchase. Joanna Buyert’s Fringe and Fettle has had strong Instagram marketing for years, which has resulted in an impressive following and plenty of engagement. 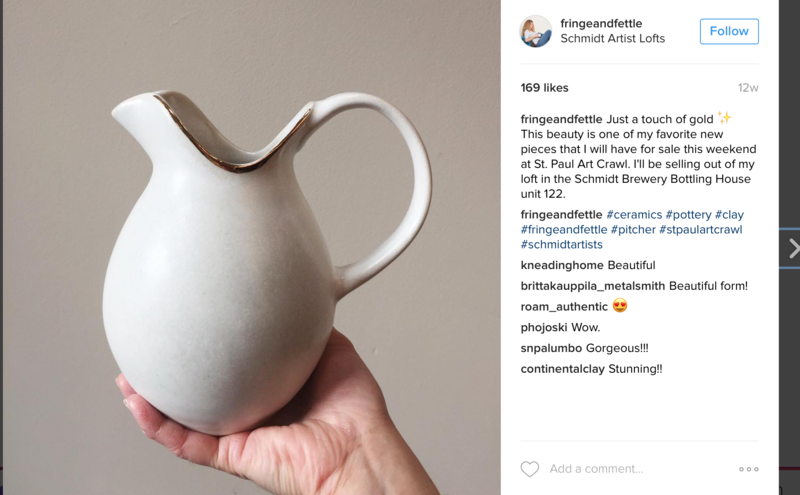 She uses Instagram to advertise her stunning ceramic pieces and find new customers. Her use of location and event hashtags to connect with potential customers (and to help them find her to purchase) is something all local businesses should note. 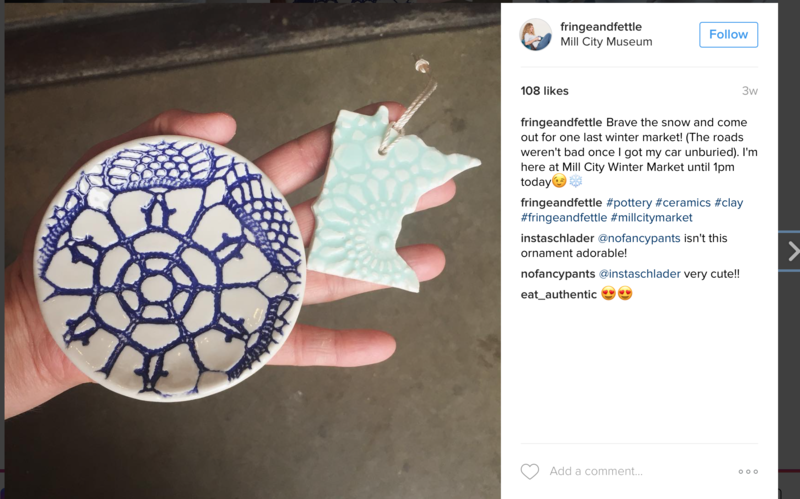 In multiple posts, she uses hashtags like #schmidtartists and #millcitymarket to broadcast her location—and products—to a local audience. This can help people at the events come find her (after seeing a post on Instagram), and it can help those who want to find her know which events she’s at. You don’t need fancy selling tools for Instagram, after all, if you can sell without them. Instagram is an essential platform that all businesses can thrive on, especially thanks to the business profile update. It consistently yields high engagement, and its incredible selling potential makes it a powerful platform. Using the right hashtags are essential towards scaling your number of followers and maximizing that engagement and selling potential; this is what makes choosing the right Instagram hashtag so important. Fortunately, with the right knowledge of best practices, some great examples to guide us, and some valuable research tools, finding or creating the right Instagram hashtags to boost our reach—and engagement—is easier than ever. What do you think? How do you choose which hashtags you use on Instagram? Do you use any of the tools we talked about in this post? Share your thoughts, experiences, and successes in the comments below!